Some oldies that I made only with spacedraw and PSTouch / Artflow. You might have seen them around already but here are some Sketchfab versions of the screenshots I was posting a while ago. Like any good 3D Soft, Spacedraw is deep, complex. And confusing at first. But it is worth persevering. Thanks Scalisoft for your talented coding ! Choose Settings / Navigation / First Person for the last link. To navigate, use the mouse + keyboard arrows. 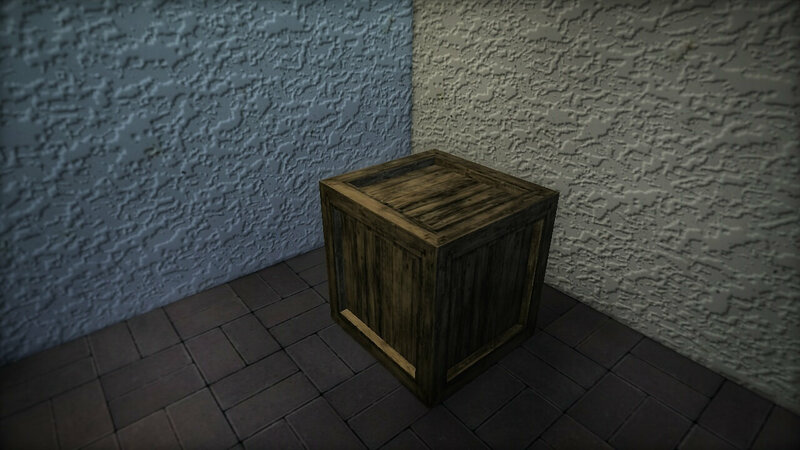 When I apply a texture to one object the other object also gets same texture applied. It might just be my lack of not knowing the correct settings any suggestions? Was able to apply the second texture image to the second object after I applied a material from the library to the second object. I noticed after I applied the second image it was placed into the scene also along with the first image. - You created the door first I guess. 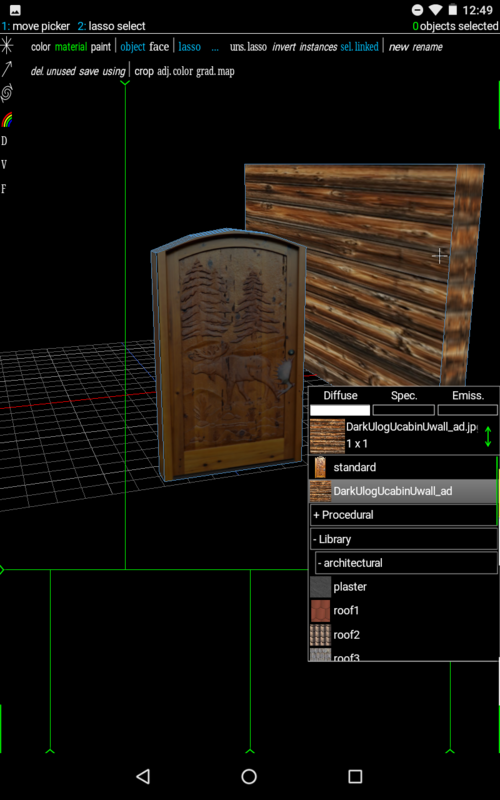 - Loaded an image of door in the "default" grey texture from the material editor. 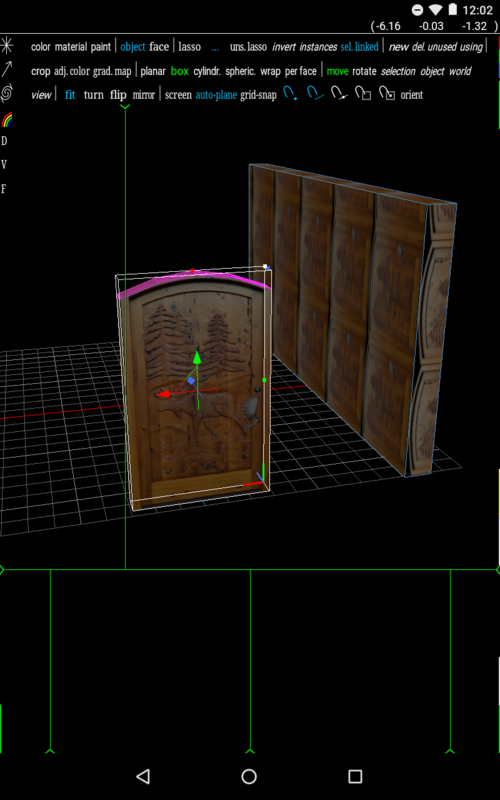 Which is fine... if your whole scene is and will remain only : a door. But as any new object created in Spacedraw uses this default grey material, then your second object got the same texture applied to it. When you want to apply a texture (in your example a simple image) to an object, select "standard" and from the top material menu, tap on "new". You load an image in this new material and apply it. One material per object in your case. So two objects, two materials in the materials library + the default grey. If you have a scene with multiple objects sharing the same image (like a scene fully unwrapped in a 1024x1024 pixels image for example) then you can apply the same texture to those objects. N.B : Do not apply a texture to an object which already have its UVs defined or Spacedraw will automatically apply a new planar or box map. 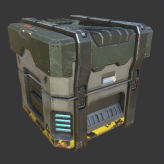 To apply a texture to an object with its UVs defined, you need to do that in face level. You can select your faces using the top menu command "UV-conn." that will auto select groups of faces with connected UVs. Then apply a texure to those faces, groups of UVs by groups of UVs. dance, I uploaded this video that might help you a bit. As you'll notice, I kept the standard grey material. I would like to do animations, rigging and rendering (single frame or video) inside spacedraw. 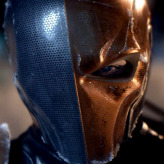 WE ARE WAITING FOR UPDATES!!!!!!!!!!!!!!!!!!!!!!!!!!!!!!!! Will this software be available for Microsoft studio. It is a pc but it's also a touch screen. Iv been using this app and really enjoy it. Simple to use and understand. "Would definitely recommend this product" iv created a whole car. But My note 3 gpu is insufficient. So I need more gpu power. Thanks in advance for either. 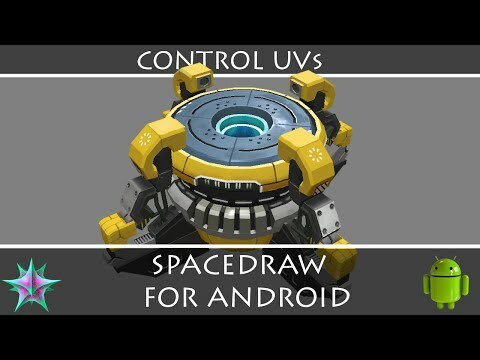 Just curious if SpaceDraw is still in development? There have been no updates for a few years. I've been waiting for a long time for the update and sent many emails to the developer but got no replies. There have been no new updates for a long while. The developer does not respond to emails. I am afraid SpaceDraw has become abondoneware. Such a shame as this was the only decent and affordable modeler for portable devices. I really enjoy spacedraw on my tablet or phone, I even hand painted textures to load it into spacedraw, but I'd love a better texture painting method instead of painting on the texture.. Paint on the model and I can't wait for the cast shadows to come out what I'd like is ambient occlusion, I've created this simple scene in spacedraw.. But had to manually add ambient occlusion with Google'simage editor. The textures aren't mine though. 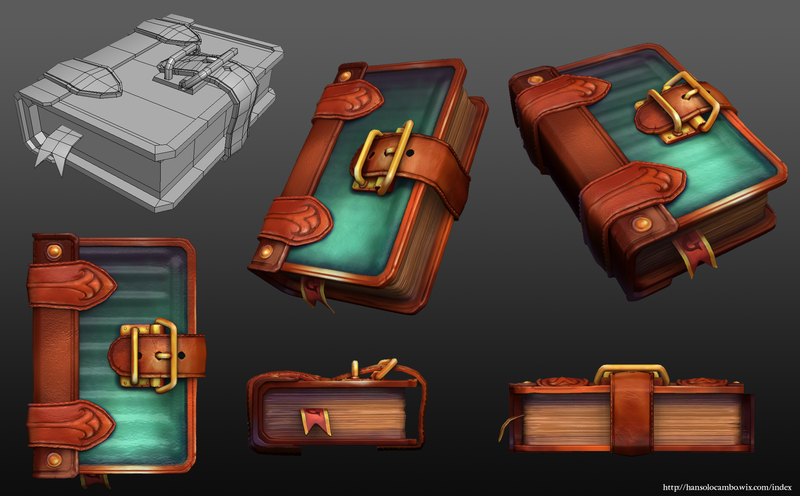 What I like to do now is a low poly in Spacedraw (The grey book in the top left of the image thereafter). Then a sculpt and polypaint in ZBrush. You can get nice results ! I have to say, out of all your great art pieces, this is my favorite! Oh this is absolutely lovely! Please make spacedraw open source if you no longer intend to continue its development. I know you mentioned adding proper booleans, rigging, improved 2d painting, new interface, etc. I think this project could become Blender for android, if you would only open the cage. Letting it starve to death from lack of development seems cruel and unnecessary. Or, since mobile users are such a finicky bunch, please branch it off to windows. 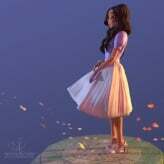 A 3d tool designed from the ground up to work with touch devices like wacom tablets would be welcome. Please find a way to revive this app. It deserves more attention.